2 Bedroom Flat To Rent in Glasgow for £1,200 per Calendar Month. 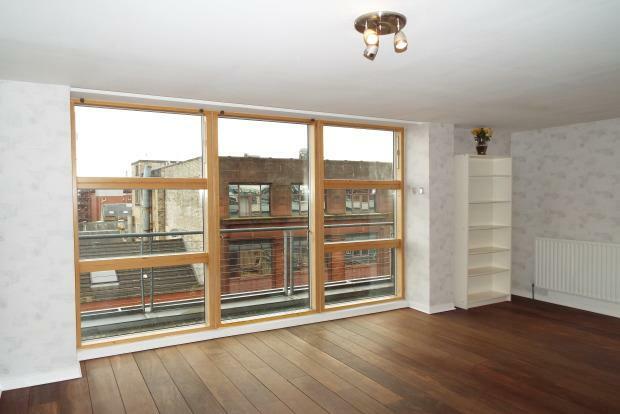 This Penthouse apartment stands tall within Glasgowâ€™s Merchant City. A wonderful view from this magnificent 6th floor balcony takes in the Merchant City rooftops, the surrounding modern and traditional architecture. The surrounding area is awash with superb local amenities including a new supermarket, a huge variety of interesting and useful local shops, some great eateries and lovely cafes and pubs within a short walk. A choice of excellent transport links include frequent buses taking you to all corners of the city and beyond, with several varying sizes of train station for every UK journey whether its a hop to Hamilton, an excursion to Edinburgh, or a long trip to London. Road links make getting to the M8 motorway easy for the greater commute, or for our more active tenants the Clyde Walkway takes you all the way to Strathclyde Park by foot or bicycle. With secure entry and an elevator taking you to all floors, enter to the home itself and walk through the reception hallway to the stunning open plan lounge and kitchen space with all modern appliances allowing you to make a quick move. Each of the bedrooms is generous in size, the master ensuite bathroom, with a stylish modern two piece suite and shower with tiled splash areas. Back in the hallway, a stunning family bathroom has everything you will need with tiled floors, immaculate walls and three piece suite. Extra benefits include your own separate utility room, gas central heating, and sliding glass wardrobes in both bedrooms.